wait what's wrong with anna and sophia? One day I saw a rainbow and the end was just to the left of us. I tried to get my dad to go there so I could stand in it, but he was "late" anyone else think that the rainbow was more important that a matinee showing of a movie? Would you mind sharing who Anna and Sophia are???????? My hopes prayers, best wishes with ana & sophia and whatever they need. Who in the world are anna and sophia. Ps: I have a blog now- please check it out! 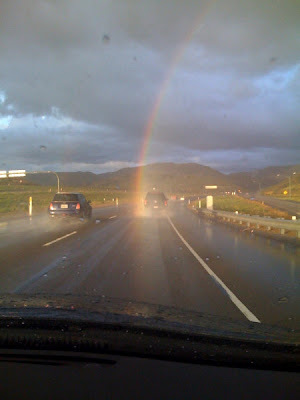 Whare IS THE POT OF GOLD!?!?!? Good luck to you and Sophia, Anna! I'll pray for you. Im so sorry you guys! Best of luck to you and your families! I think it was more impotant than the movie. WHats Kirsten Miller's email!!!!!!!! I NEED IT! I LOVE HER!!!!! SHES SUCH A GOOD AUTHOR!